The recent launch of the Raspberry Pi Model B+, a redesign of the popular single-board computer that addresses some issues with the original while doubling the number of USB ports and increasing the size of the GPIO header, unsurprisingly means that there’s a need for a new user guide. 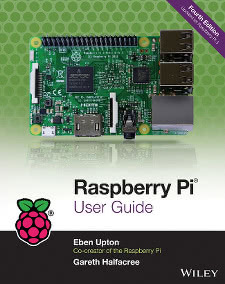 As a result, it should come as no surprise that J. Wiley & Sons has published the Raspberry Pi User Guide Third Edition, a revised work that adds details regarding the new Model B+. 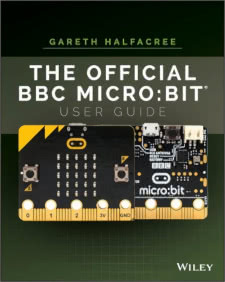 Completed earlier this year thanks to pre-release access to a prototype Model B+ provided by the Raspberry Pi Foundation, the latest edition of my book includes everything a reader needs to know about the latest model. The chapter on using GPIO has been updated to include a full pin-out of the new elongated header and details on how best to use the new USB ports have been added. It’s not all about the Model B+, however: there are entirely new chapters in this edition, including one covering basic programming with Minecraft: Pi Edition from Mojang. The release of this third edition comes surprisingly soon after the Raspberry Pi Second Edition hit shelves, but those who have already purchased the previous edition needn’t panic: unless you have a Model B+ there’s little you desperately need to know that isn’t contained in the previous release, and if you have a burning desire to use Minecraft: Pi Edition you can find a similar tutorial in my recently-published MagBook 21 Brilliant Projects for the Raspberry Pi from Dennis Publishing – along with, as the title suggests, another 20 projects that you won’t find in the User Guide. The Raspberry Pi User Guide Third Edition is due to arrive in stock at most outlets within the next couple of weeks, with Amazon UK taking pre-orders for a 19th of September delivery date. If you can’t wait that long, the Kindle Edition is already available for immediate download. Those buying in other countries or high-street book shops should ask their retailer for ISBN 978-1118921661. As with previous editions, numerous translations will follow in the near future. I would love to buy this as pdf or ebook but it’s not available on Ibooks for Sweden.